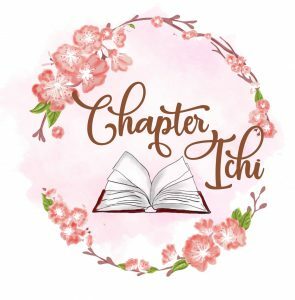 Melanie, Chapter Ichi: Thank you for allowing me to interview you, B.Jeanne. I have just finished reading Kaerou and am honoured to be interviewing you. I loved Kaerou, it’s story is truly beautiful. My review can be found in ‘Book Reviews’ on my site http://www.chapterichi.com. I would love to hear more about the author behind this historical novel, Kaerou. Can you tell me a bit about yourself? Where you live, your family, and occupation. Melanie, your imagination makes my life much more exciting, I’m sure. My family lived in Southern California when I was very small. The beach, my sandbox. Then we moved to Arizona…so like my character Meryl, I grew up in a suburb in a desert. After university, there were no jobs to be had locally, so my choices: “Go to a big US city?” or “Go outside the US?” Then, “Which country?” I narrowed the list down to Italy and Japan. Japan won because of its booming economy and its market for English teachers. That was in 1987. I’ve been in Japan since and have become a Japanese citizen, which, I’ve been told, is unusual for a US citizen to do. I’ve worked as an English teacher and ghostwriter. I live in an old house (tatami mat rooms) in Nara with my husband and his family. What is life like in Japan? Life in Japan is fascinating…art is beautiful, fashions funky, a new trend around each corner, food fabulous, hot springs sensational, cities safe and clean, efficient, organized, and the most profound and beautiful gardens in the world. I love the theater and want to spend my next life on stage…maybe as a member of a comedy team. Hmmm. That answer sounds like my character Fiona speaking. I’ve done black-ink painting and have embroidered tapestries of patterned kimono fabric that were later framed into custom-made pieces of furniture. I have a license in ikebana. My best story ideas come to me when I’m cooking. I love cooking with miso. My husband and I have travelled extensively in Japan, especially in the north, the Tohoku area (where I did research for Kaerou), enjoying the local food at hot spring inns. And there’s the never-ending interest in Japanese phrases, ways of expression, and kanji combinations. There is a strong historical connection between Japan and the US. Within Kaerou the characters also share this connection. Do you have family in Japan and the US? My relatives are in the US: my husband’s are in Japan. My father was in the US Occupation Forces in Japan after WWII. The Japanese words he remembered: “Moshi, moshi.” “Ano—ne.” “Fuji-Yama.” His way of thinking shows up in the character of Meryl’s father, Louis. And I have close friends, who are like family, in the US, England, and Canada. Have you always loved writing? I don’t have a “write-on-demand” mind. I love writing only when I want to write, not when someone tells me I have to. Writing Kaerou felt like chiseling a block of marble, chip, chip, chipping away. The polishing came with the rewriting. I’ve love rewriting…even when someone tells me I have to do it. How have your life experiences assisted you in writing Kaerou? My education. Thank you, public schools. My career in teaching (in Arizona, then in Osaka). My teaching colleagues and I became friends. They helped put together Kaerou. They read and reread and their comments made Kaerou what it is. One of them said working on Kaerou was like building a house. So for me, Kaerou is my home with them. I taught adult students in Osaka. They told me about Osaka history, business, and what had happened in Osaka during the war. So, the life experiences of others helped me write Kaerou too. A trail of moonlight on terraced rice paddies, a kamoshika trotting down a country road, a parade of fishing boats in a Shinto festival on the Japan Sea…seeing scenes like these made me want to tell everyone that Japan is much more than scrumptious food and exciting cities. Meeting Shinko Yamaguchi (award-winning artist) led to his exquisite paintings for the cover of Kaerou. Living with my husband’s family gave me insight into the daily life of a Japanese family. The death of my father and then, of my father-in-law…his Buddhist funeral and the rituals afterwards gave me a depth of emotion that my imagination would never have reached. And from those experiences, I wrote some of the more moving scenes in Kaerou. And how could I possibly write about Meryl and Greg, if I hadn’t…fallen in love? What inspired you to write Kaerou? Is it based on a true story? The historic events are portrayed as accurately as my research allowed. The part of the story about the flag is based on what happened in 1995. Darryl King, my colleague, showed me a bloodstained WWII flag (sent from someone in the States in the hope that the family it belonged to would be found). Darryl’s father and my father had served in WWII in the Pacific, had both come home safely. We were touching a flag, worn by an enemy soldier when he was bleeding out…we imagined his last thoughts, where he was, who he had killed before someone killed him, how old he was. We thought about our fathers, about our working successfully and living peacefully in a country that had very recently been the bitter enemy of our nation…well, how futile was war? And then the acknowledgement—Darryl and I and many of our friends wouldn’t have been born, if not for WWII. My parents would never have met. A generation was lost during the war, but the generation that was born after the war wouldn’t be as it is now if there had been peace. So the ideas of “What would life be if there hadn’t been a war” and “Because there was a war my parents met, fell in love, and here I am” worked in my mind for years and led me to write Kaerou. But what got me started writing was my friend, Joanna. She asked me to write a novel to get me out of a self-pity slump. It was good timing. I wasn’t working, was missing a lot of my good friends who had been away from Japan for years. Writing a novel and getting them involved in the process was a way to keep us connected. They’re avid readers, writers, and a few copywriters…super lucky me! Are the characters based on people you have met? The physical features of most of the characters are from people I know. So are some of the names. The main character Meryl is the spitting image of my cousin Jeanne. But Jeanne would never have taken a WWII flag to Japan. She would’ve FedEx-ed it. I asked myself, “Who would take a flag to Japan?” The personalities are fictionalized to get the characters to act as they do. I’m fortunate to know two women (one, my mother-in-law; one, my English conversation student!) who were born in the 1920s and lived in Osaka before, during, and after WWII. Their backgrounds and schooling (both studied ikebana, Japanese traditional dance, the shamisen) are similar, as are their war experiences. They both love kimonos. So I blended their histories, sprinkled in some fiction…Voila! the gracious character, Ms. Kawanishi. Women like them saved the traditional arts from disappearing with the ravages of war. It’s through the eyes of Ms. Kawanishi that we understand what these women thought of war. There’s a minor character who wasn’t fictionalized, Meryl’s dog Freckles. She’s 100% my companion and confidante from childhood, the best dog in the world. What were the most memorable moments during your researching/writing stages? Every novelist and poet who I read I love, like I love every Jelly Belly flavor I eat. The authors I turned to the most while I wrote Kaerou were Mark Twain and Margaret Mitchell. Twain for his fast pace, comic timing, and action verbs; Mitchell for her weaving of history in her drama and for how she handled her characters’ backstories. This is a heartfelt romance novel. Do you share Meryl and Greg’s realization of “Love in the simplest things”? Oh yes! I realize it’s true. But I have to remind myself…always keep on the lookout for love in the simplest things. Distractions are everywhere. Do you hope readers walk away with a certain message or feeling at the end of Kaerou? To be swept away to another time and place, to learn a few things, to think a few thoughts never thought before, to be entertained. The messages of Kaerou will be as varied as the life experiences of the people who read Kaerou.